Lavinia Fontana, "The Bolognese Phenomenon"
The daughter of Prospero Fontana, a portrait painter and fresco artist working in the city of Bologna, Lavinia Fontana became one of her father's most important and successful students. Although nothing is known about her early life--aside from the fact that she was trained by her father in his workshop and studio--by the late 1570s she was already recognized for her portraits and for Christ with the Symbols of the Passion, completed in 1576. 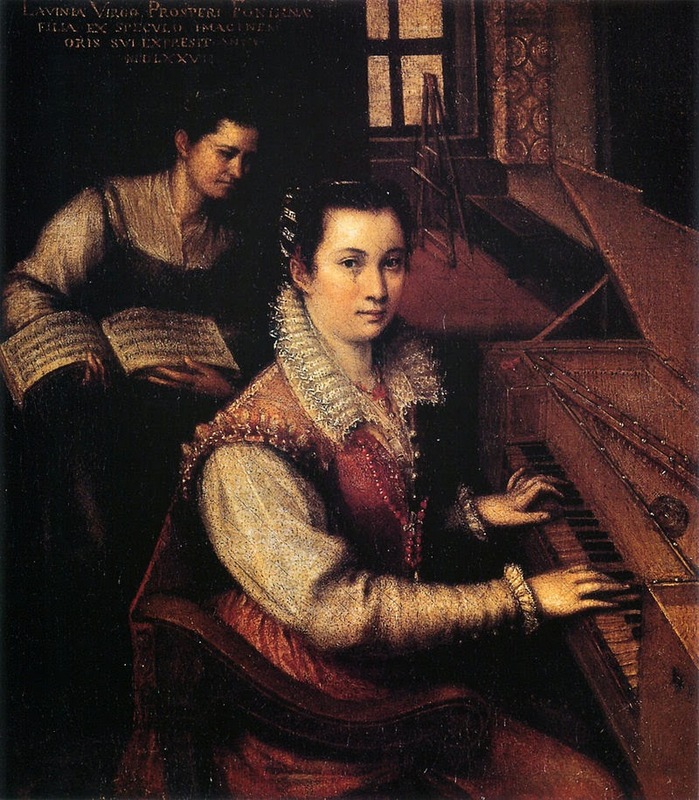 Fontana's marriage in 1577 to Gian Paolo Zappi was very fortunate. The man responsible for the marital negotiations offered his view on Lavinia Fontana's potential as a wife: "If she lives a few years . . . she will be able to draw great profit from her painting, as well as being god-fearing and of purest life and handsome manners." The match was made, and Zappi, himself a painter, moved into Prospero's studio. But instead of continuing his painting, Zappi abandoned his own career. He spent their marriage acting as Fontana's assistant, keeping her accounts, and managing the household, including their children. In the eighteen years after they were married, Lavinia gave birth to eleven children (though only three outlived her). 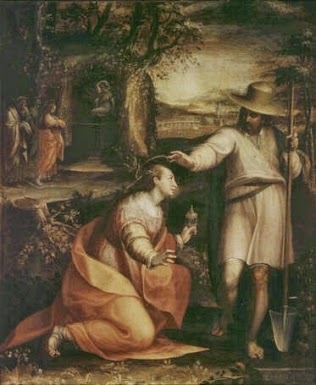 Fontana continued to work in Bologna, in her father's house, until his death in 1603, when she was summoned to Rome by Pope Clement VIII to produce the Martyrdom of St. Stephen, an altarpiece for San Paolo Fuori le Mura in Rome (unfortunately, the basilica was destroyed by fire in 1823). In Rome, she painted numerous portraits for the papal court, including Clement VIII's and Pope Paul V's. The first woman to receive public commissions, she was elected a member of the Roman Academy. As only one note of Fontana's distinction, the essay on the painter at the National Museum of Women in the Arts website observes that Fontana "was commissioned to make not only portraits, the typical subject matter for women painters, but also religious and mythological themes, which sometimes included female nudes." Her work includes some 135 paintings--the largest body of work by any woman artist of her day. In The Obstacle Race, Germaine Greer notes the unique opportunities offered to women in Bologna during the sixteenth century: "For a brief century women in Bologna were encouraged to play a public role as artists. The astonishing thing is not that the century came to an end, but that it ever happened at all." I've borrowed the title of Greer's chapter, "The Bolognese Phenomenon," here, in honor of Bologna's most productive and notable woman artist, Lavinia Fontana. Fontana died in Rome on 11 August 1614. 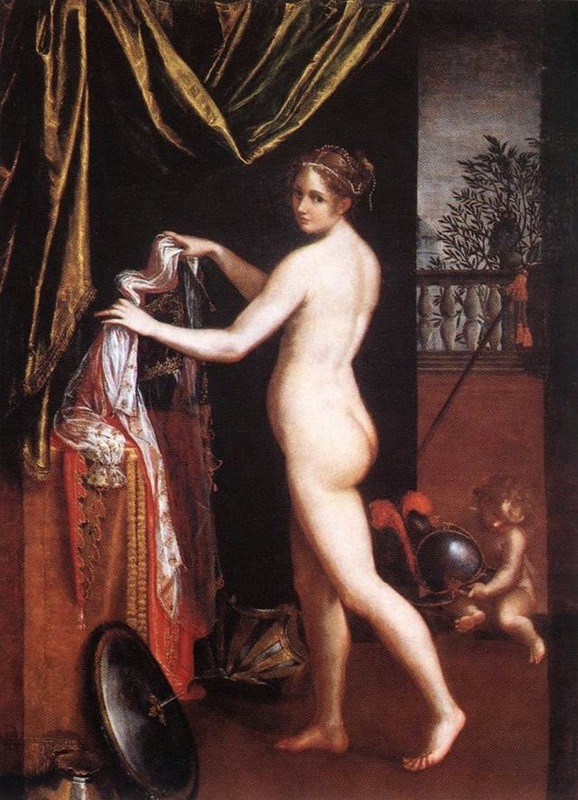 There are two excellent books on Fontana: Caroline Murphy's Lavinia Fontana: A Painter and Her Patrons in Sixteenth-Century Bologna and Vera Fortunati's slightly older Lavinia Fontana of Bologna, 1552-1614.